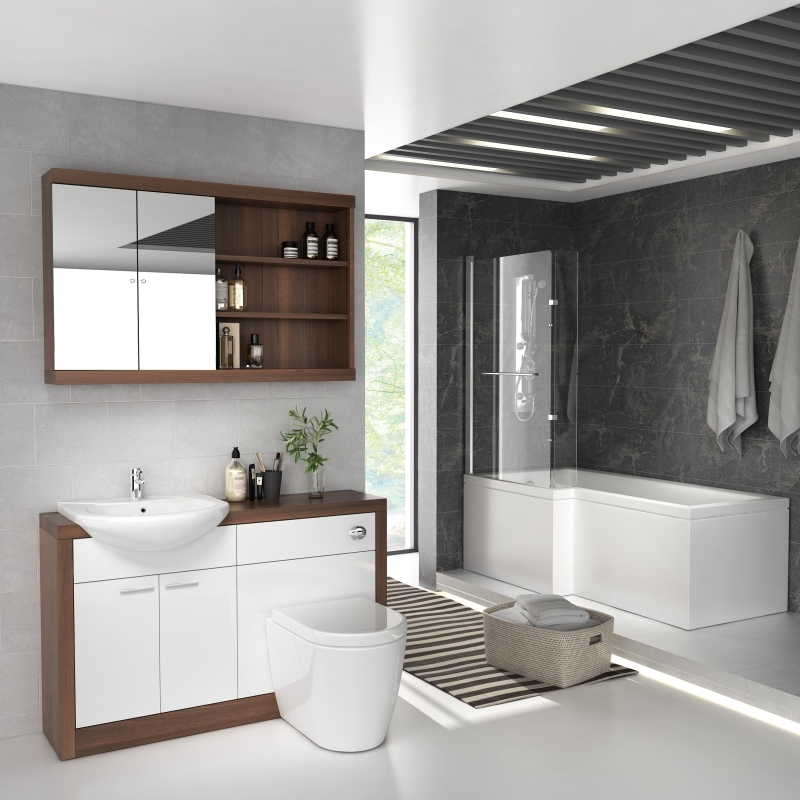 Give your bathroom a contemporary makeover in one easy purchase with the stylish Lucido Complete L-Shaped Furniture Suite. 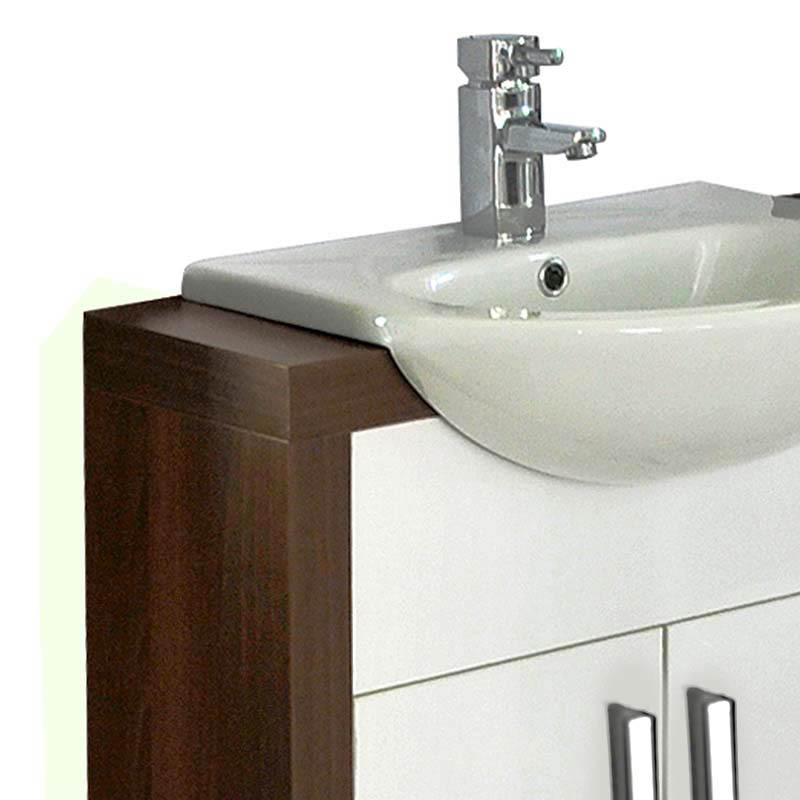 The centrepiece of this modern suite is our exclusive Lucido Fitted Bathroom Furniture Set which is hand-made in our Birmingham factory and features gloss white acrylic unit fronts with contrasting walnut-finished surround. 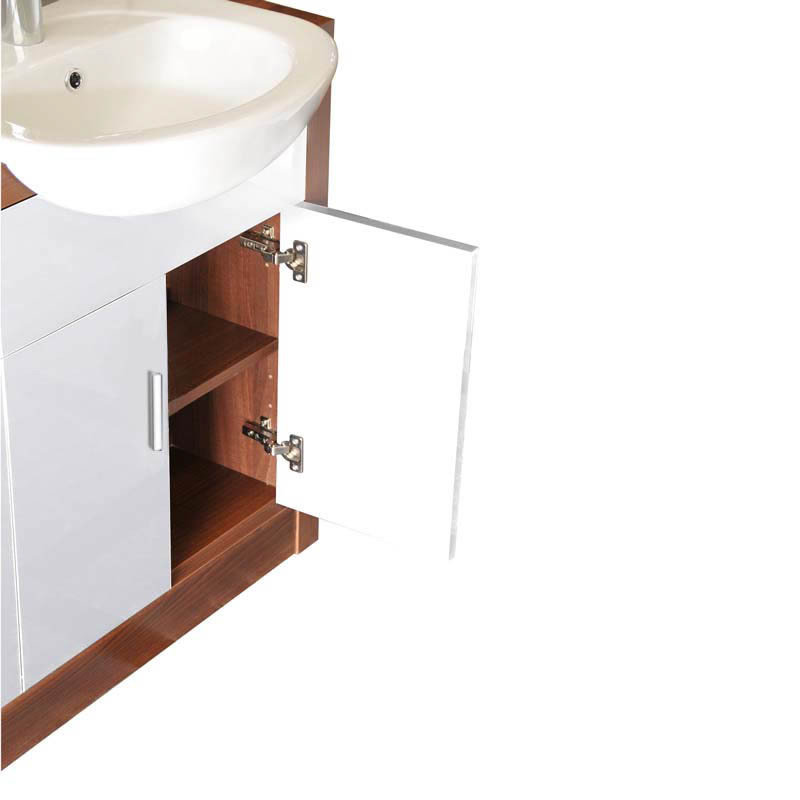 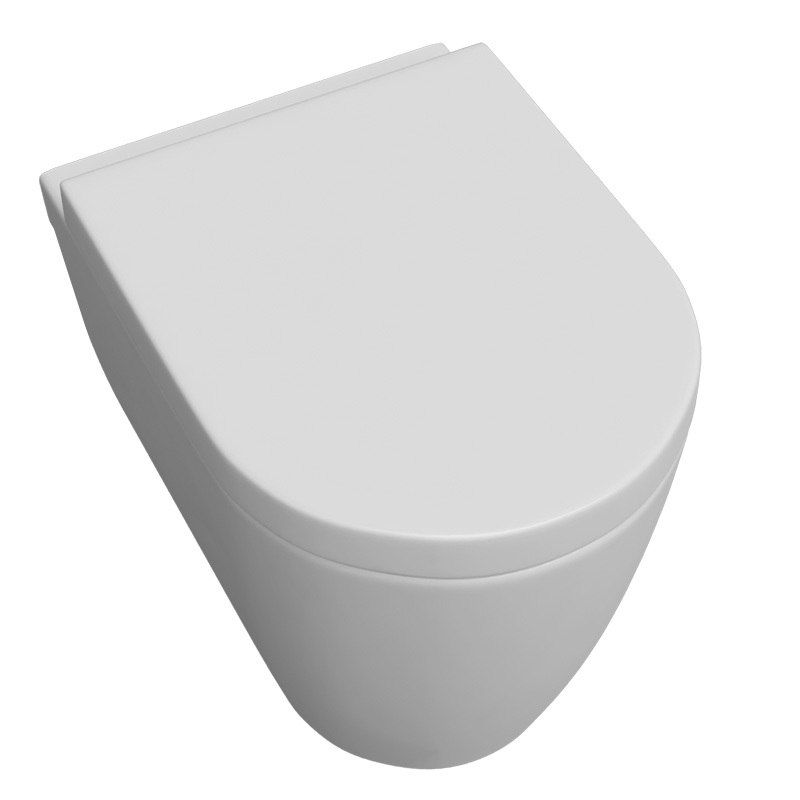 This 1500 fitted bathroom furniture includes a vanity unit with basin and mixer tap, cistern unit with concealed cistern, back to wall pan and seat plus a central storage cupboard. 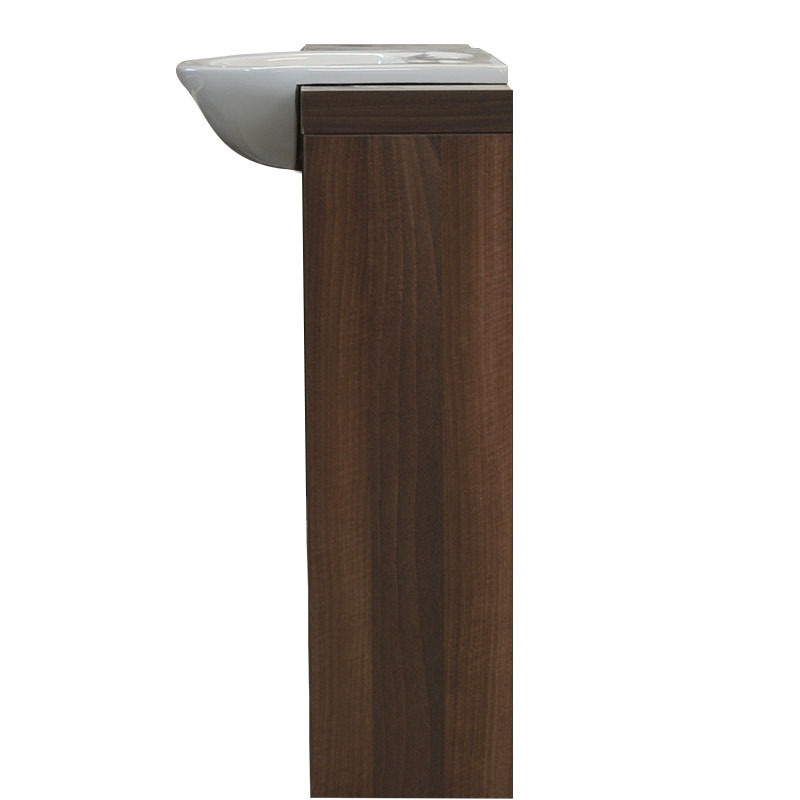 The fitted units are supplied part-assembled so that the WC and vanity units can be swapped to suit different bathroom layouts while the ample cupboard space provides handy storage. 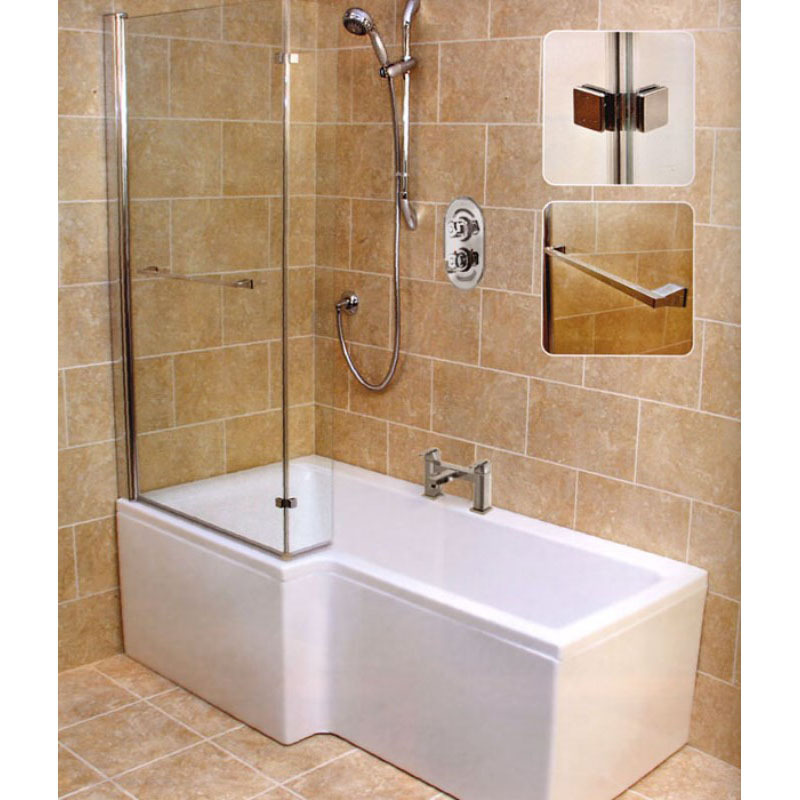 An L-shaped shower bath, available in left or right hand models, completes the suite and comes complete with side and end bath panels, a bath screen and bath mixer tap.